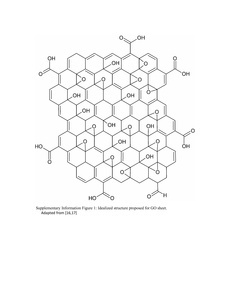 The preparation of processable graphene oxide colloids called chemically converted graphene (CCG) involves the following steps: oxidation of graphite to form graphite oxide; exfoliation of graphite oxide to form graphene oxide (GO); and reduction of GO to form CCG. In this work, the exfoliation and reduction steps were monitored by capillary zone electrophoresis (CZE). 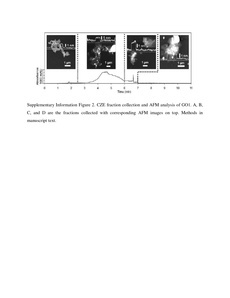 CZE was performed in fused silica capillaries with UV absorbance at 230 nm (GO) and 270 nm (CCG) using 250 ìM tetrapropylammonium hydroxide (pH 10.4). 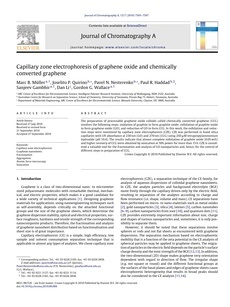 The results indicate that almost complete exfoliation of graphite oxide (0.05 wt%) and higher recovery of CCG were obtained by sonication at 50% power for more than 15 h. CZE is considered a valuable tool for the fractionation and analysis of GO nanoparticles and, hence, for the control of different steps in preparation of CCG.